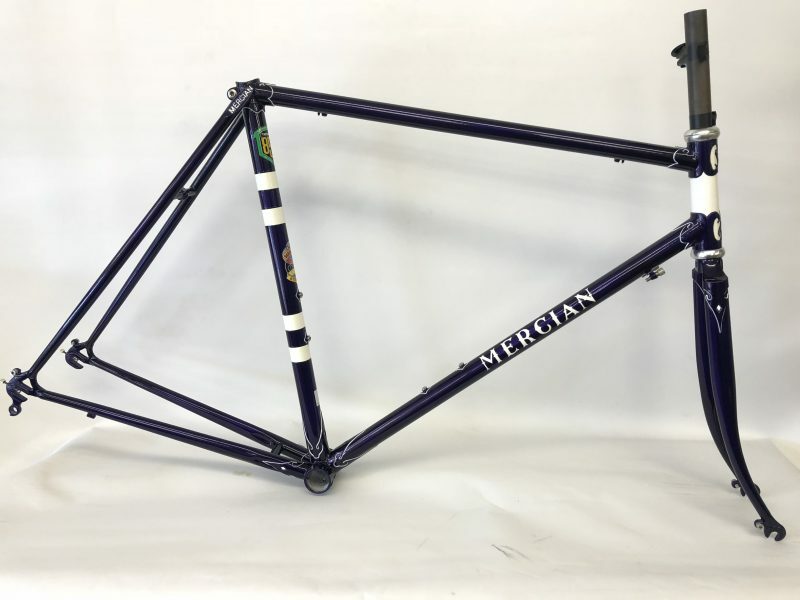 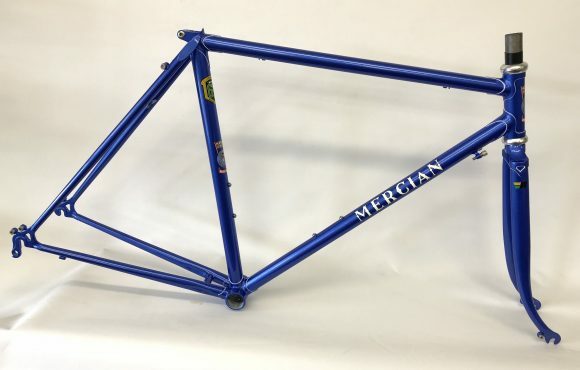 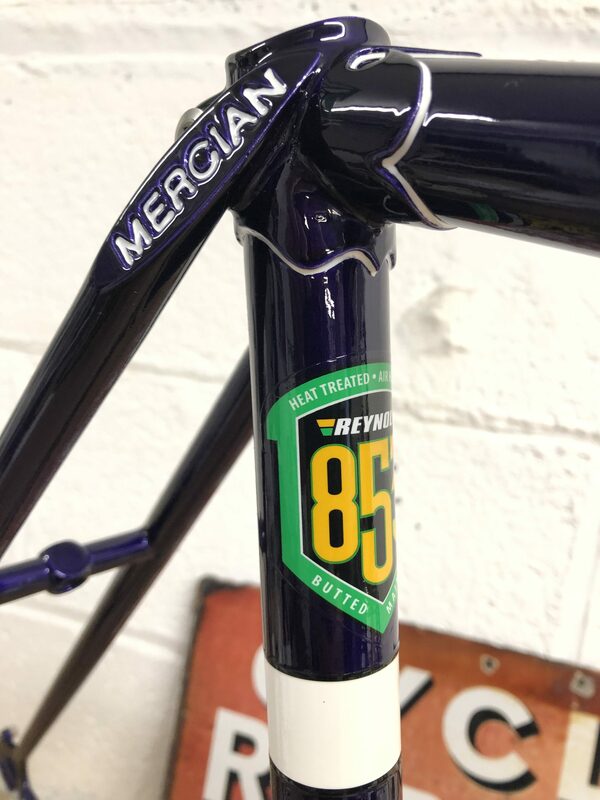 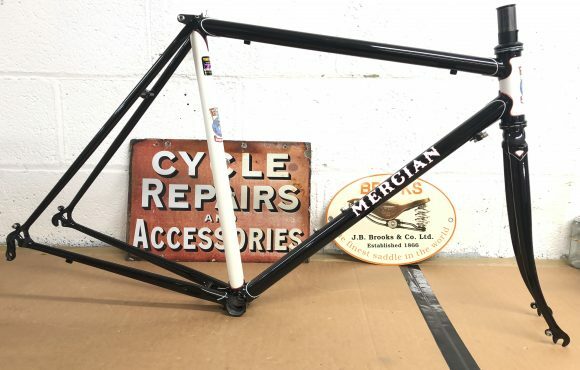 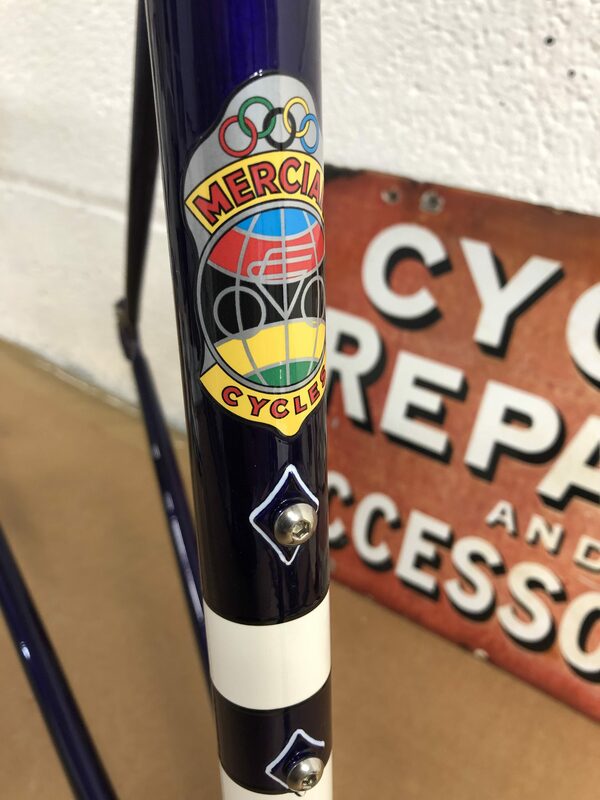 Mercian 58cm Vincitore special built with reynolds 853 60cm top tube with 72 deg angles and 445mm chain stays 47/57mm brake depth and mudguard clearance. 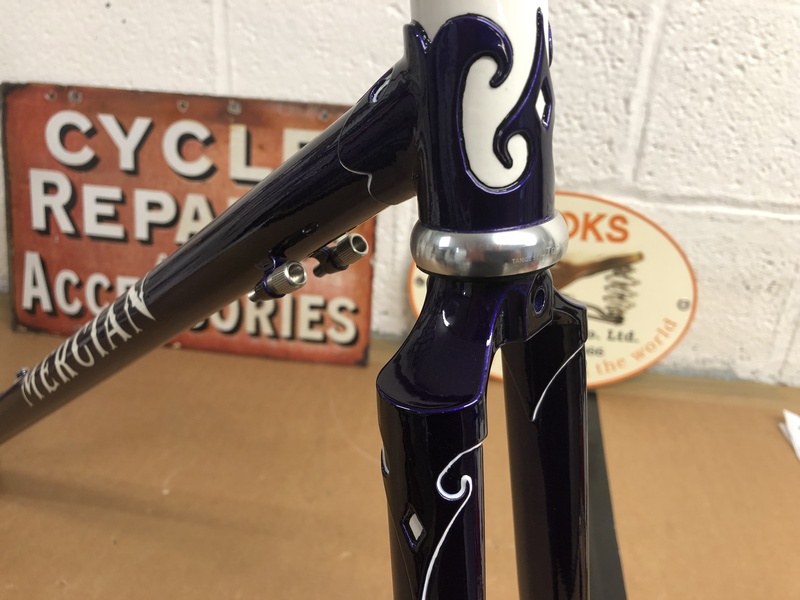 Double down tube adjusters for sit/ergo cables , nylon tunnel under the shell for the gear cables and a chain stay stop. 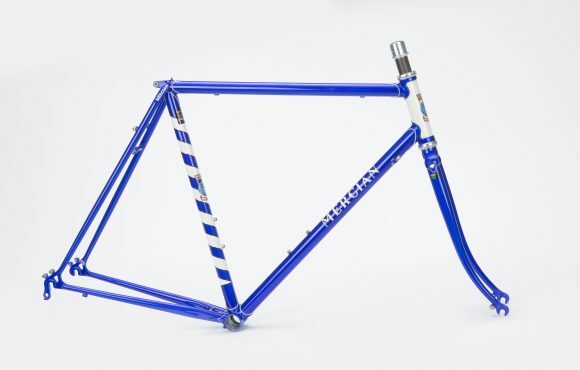 Two sets of bottle cage bosses. 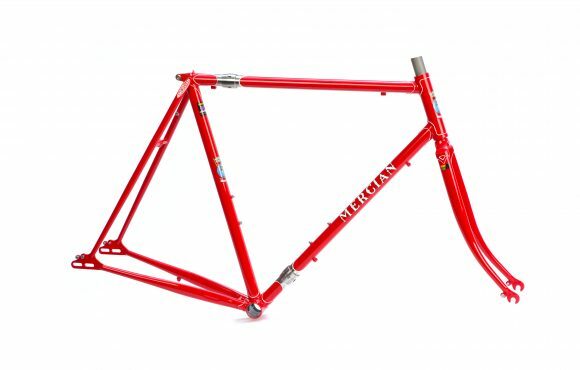 130mm rear dropouts. 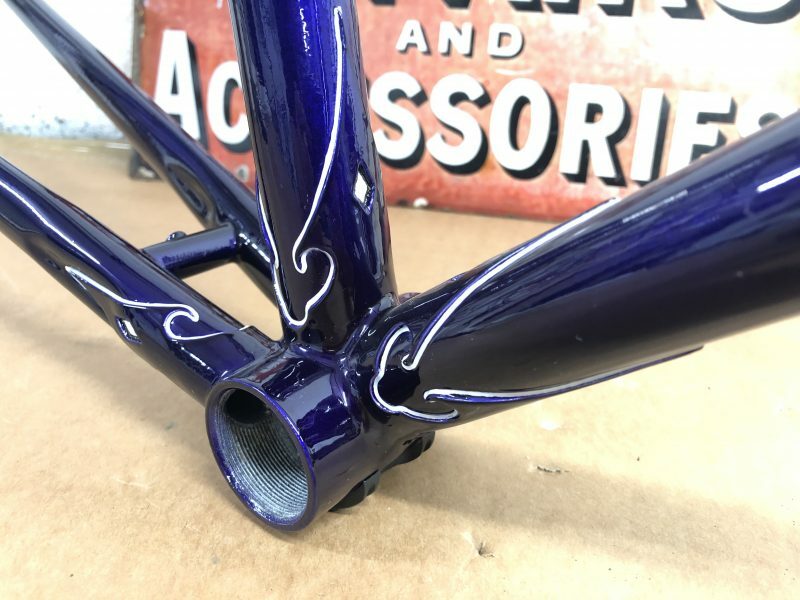 Purple flamboyant white detailing and transfers.